Peter Rabbit’s Christmas now on Audible! 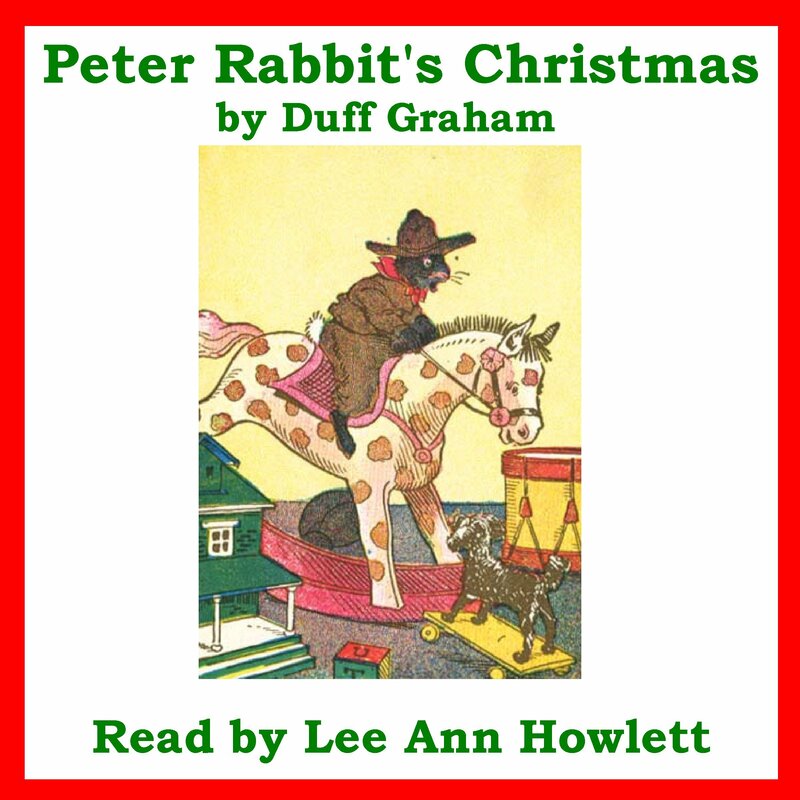 Lee Ann is happy to announce the publication of a classic children’s Christmas book on Audible – Peter Rabbit’s Christmas written by Duff Graham. Peter Rabbit lives with his mother and three sisters Flopsy, Mopsy, and Cotton-tail down in a sand bank under a big fir tree. One day when Peter is outside exploring, he hears the bells of a beautiful red sleigh. A pretty little girl riding in the sleigh scoops Peter up and takes him for a ride which includes a visit to Santa’s workshop. The mischief Peter gets into at Santa’s workshop and how he gets home is a true Christmas adventure for the little rabbit. Great listen for young readers! To listen to a sample or purchase, head to Audible here. Posted by lahowlett on December 10, 2014 in Uncategorized and tagged audiobooks, children's books, classics, Duff Graham, holidays, Peter Rabbit's Christmas.